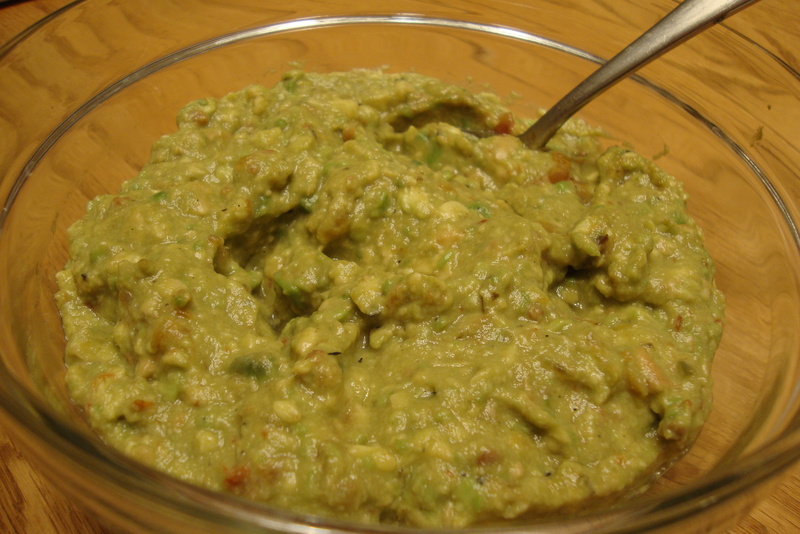 Pit the avocados and scoop it out of the skin into an medium size mixing bowl. Add in the lime juice and salsa. Using the back of a fork or a pastry cutter, mash it to your desired consistency. Add sea salt and pepper to taste.